For the past two weeks, the kids have been taking swimming lessons with Coach Scott – we just love him! He and his staff do such a great job with the kids, and the kids always learn so much. After each 30 minute session, the kids are completely worn out! 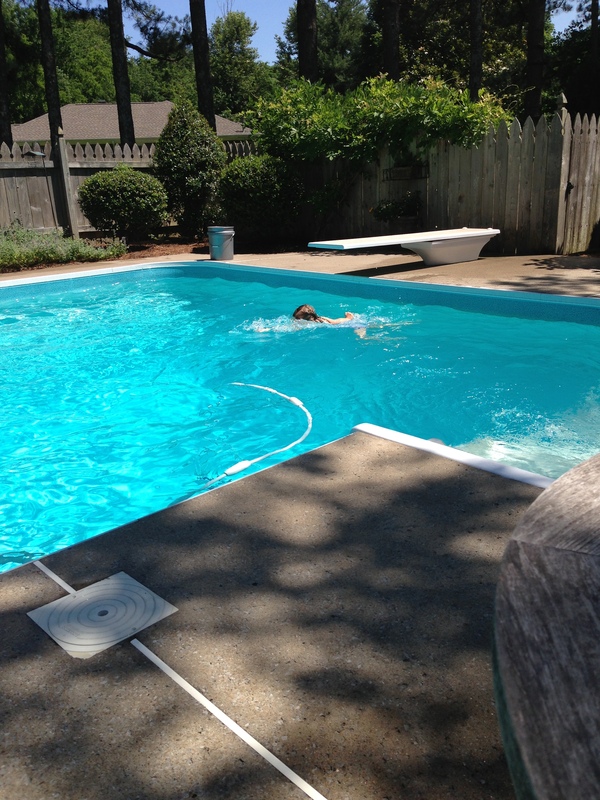 They both improved so much, and I feel much more comfortable with them in the water. 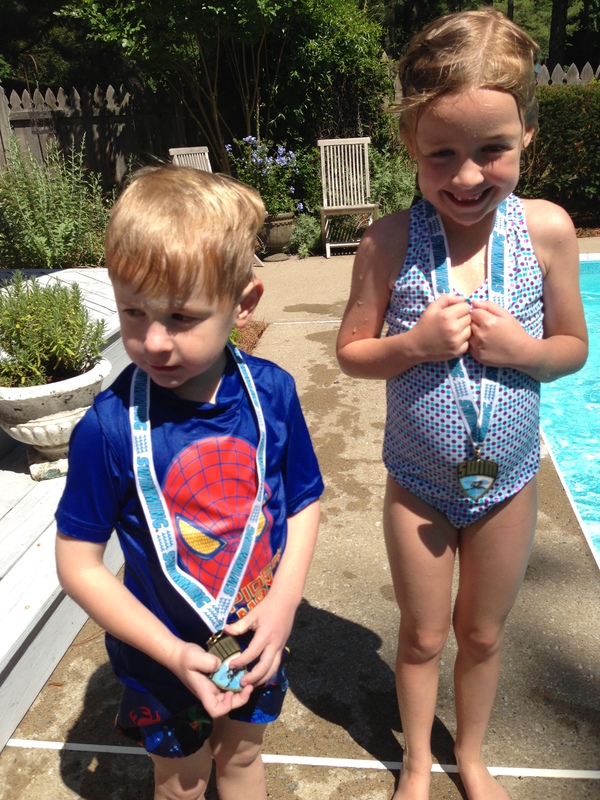 They graduated today and earned their medals. Afterwards, we loaded up in the car and headed for the beach!